Wärtsilä Yuchai Engine Co., Ltd, the joint venture owned 50/50 by Wärtsilä and Yuchai Marine Power Co. Ltd., today began construction of its new production facilities with a groundbreaking ceremony in Zhuhai City, Guangdong Province of China. Wärtsilä Yuchai Engine Co., Ltd, the joint venture owned 50/50 by Wärtsilä and Yuchai Marine Power Co. Ltd., today began construction of it's new production facilities with a groundbreaking ceremony in Zhuhai City, Guangdong Province of China. The agreement to establish the joint venture was signed in December 2012. The company will manufacture medium-speed marine engines to serve the increasingly dominant Chinese shipbuilding industry. The products to be manufactured by the joint venture company will include the Wärtsilä 20, Wärtsilä 26 and Wärtsilä 32 series of medium speed engines. Production is planned to start in 2014. ”Today marks an important step towards our goal to serve our customers in the Chinese shipbuilding market in the best possible way. 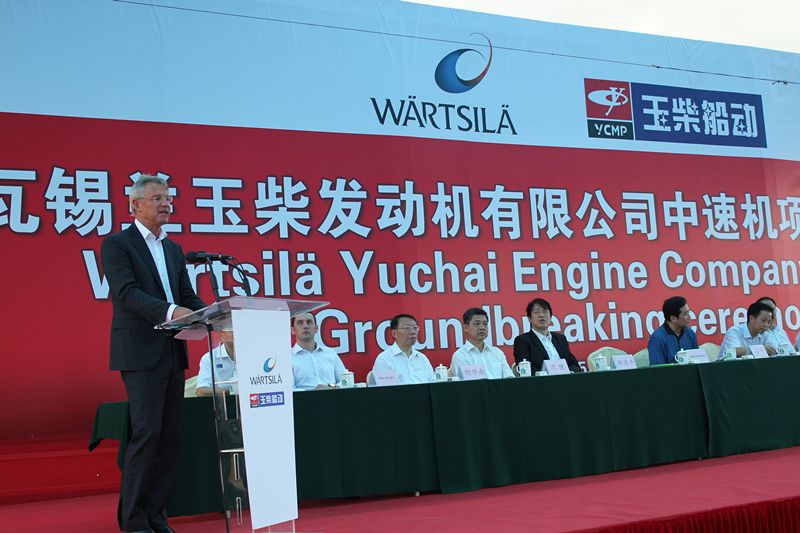 The combination of Wärtsilä’s industry leading technology and Yuchai’s position as the leading high speed engine manufacturer in China, will provide strong competence in manufacturing, sourcing and market access,” said Björn Rosengren, President & CEO of Wärtsilä Corporation, attending the ceremony in Zhuhai. The Wärtsilä 20, Wärtsilä 26 and Wärtsilä 32 engines are all well established on the market, and are known for their reliability, fuel efficiency and low levels of exhaust emissions. They are also fully optimized for today’s flexible manufacturing methods. All three engines are fully compliant with the IMO Tier II exhaust emission regulations as set out in Annex VI of the MARPOL 73/78 convention. Wärtsilä press release 20 December 2012: Wärtsilä and Yuchai Marine Power establish joint venture for manufacturing medium-speed engines in China. Wärtsilä will set up a new fully-owned manufacturing facility in Brazil to meet the increasing market demand, particularly in the offshore market. Wärtsilä will set up a new fully-owned manufacturing facility in Brazil to meet the increasing market demand, particularly in the offshore market. Wärtsilä’s investment in the new facilities is approximately EUR 20 million. The manufacturing premises will be based on a multi-product factory concept for the assembly and testing of Wärtsilä generating sets and propulsion products. In the initial phase, activities will focus on medium sized, medium speed generating sets and steerable thrusters, with the possibility to flexibly expand the product range to respond to market needs. “Wärtsilä’s global strategy is to be close to its customers. Our presence in Brazil is now further strengthened to respond to the ongoing demand for Wärtsilä power solutions, and to meet the set local content requirements,” says Björn Rosengren, President & CEO of Wärtsilä Corporation. The new manufacturing plant will be located some 300 kilometres north of Rio de Janeiro in the Açu Superport Industrial Complex. The construction of the 4000 square meter plant, with its own waterfront and quay, will commence in April 2013 and it is scheduled to be fully operational by mid 2014. The new delivery centre is expected to employ close to 100 people. Wärtsilä is a global leader in complete lifecycle power solutions for the marine and energy markets. By emphasizing technological innovation and total efficiency, Wärtsilä maximises the environmental and economic performance of the vessels and power plants of its customers. 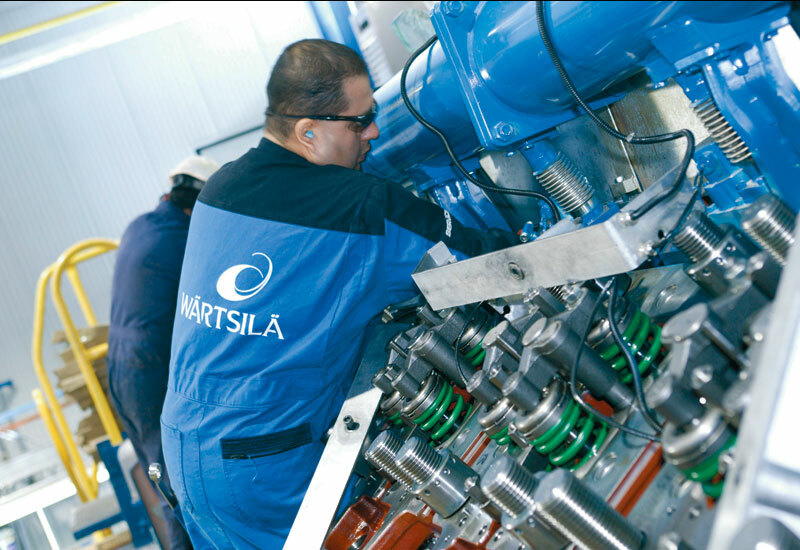 In 2012, Wärtsilä’s net sales totalled EUR 4.7 billion with approximately 18,900 employees. The company has operations in nearly 170 locations in 70 countries around the world. Wärtsilä is listed on the NASDAQ OMX Helsinki, Finland. Wärtsilä, the marine industry’s leading solutions and services provider, will supply a comprehensive, fully integrated power, propulsion and positioning system for a DP3 Dynamically Positioned offshore accommodation rig being built in China. Wärtsilä, the marine industry’s leading solutions and services provider, will supply a comprehensive, fully integrated power, propulsion and positioning system for a DP3 Dynamically Positioned offshore accommodation rig being built in China. The contract was signed in January with Cosco (Qidong) Offshore Co. Ltd, the yard building the vessel for Singapore based Axis Offshore. The vessel, equipped with DP3 dynamic positioning system, will feature an integrated Wärtsilä solution that includes the main power generation system, the propulsion system, the electric and automation system and the automation safety system. Wärtsilä is responsible for engineering, delivery and commissioning of the integrated solution and will also support the yard on-site during the installation phase. The vessel is expected to enter into service in February 2015 for worldwide operations. 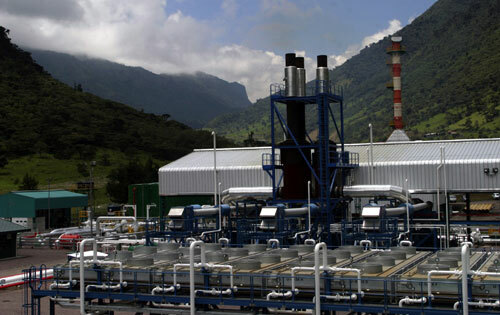 Wärtsilä will begin deliveries of its equipment in May 2013. While the majority of the solution will be engineered and delivered from Wärtsilä’s delivery centres in Europe, Wärtsilä will mobilize a site management team to the shipyard in Qidong, China, joining in close cooperation with the COSCO project team. Russian Zvezdochka Shipyard and Finland’s Wartsila are intending to sign a joint venture agreement in February-March 2012. Relying on its propeller production, Zvezdochka Shipyard will establish a center of propulsion systems manufacturing. The center will combine the production capabilities of the Severodvinsk shipyard and its affiliates Design Bureau “Screw” and pilot plant “Vega”. Zvezdochka Shipyard based in Severodvinsk is a diversified shipbuilding enterprise. It has two covered slipways with 7 shipbuilding sites which are designed for overhaul and construction of vessels with a launching weight of up to 18,000 tons. The firm is majority owned by Northern Shipbuilding and Ship Repair Center, part of JSC United Shipbuilding Corporation. Wärtsilä is a global leader in complete lifecycle power solutions for the marine and energy markets. By emphasizing technological innovation and total efficiency, Wärtsilä maximizes the environmental and economic performance of the vessels and power plants of its customers. In 2010, Wärtsilä’s net sales totaled EUR 4.6 billion with 17,500 employees. The company has operations in 160 locations in 70 countries around the world. Wärtsilä is listed on the NASDAQ OMX Helsinki, Finland. WĂ¤rtsilĂ¤ Corporation, Press release, 9 August 2011 at 10 am EET. WĂ¤rtsilĂ¤, a global leader in complete lifecycle power solutions and services, opens new workshop facilities in Helsinki, Finland. Wärtsilä, a global leader in complete lifecycle power solutions and services, opens new workshop facilities in Helsinki, Finland. The new facilities enable Wärtsilä to offer a wide range of workshop services with rapid response times. Operations in Helsinki began in the beginning of August 2011. 'The new workshop is strategically located near the main shipping routes and this, together with its efficient storage arrangements, will significantly enhance our service capacity. For customers with maintenance agreements, the added component storage will reduce transportation and travel costs, and ensure prompt response times for vessels operating in the Baltic area,' says Christoph Vitzthum, Group Vice President, Wärtsilä Services. The new workshop, located in Vuosaari Harbour in Eastern Helsinki, covers an area of 1150 square metres and is equipped with 5 and 12.5 tonne overhead cranes, advanced machining equipment, fuel injection system component overhaul tools and testing devices, and the latest technology service tools. Services offered include full workshop operations for engines and propulsion systems, as well as the servicing of mechanical and electrical equipment onboard vessels of all types. The new workshop has also its own transport vehicles to secure fast response capability. The demands placed on the supply of service and maintenance operations are very high in Finland and the Baltic Sea area. This is a result of the increasing awareness of, and focus on environmental aspects, for example through initiatives such as the Baltic Sea Action Group which Wärtsilä supports. Ship owners and vessel operators expect high quality and efficient services with a minimal environmental footprint. This new workshop complements greatly Wärtsilä's workshop services throughout the Baltic Sea region. Wärtsilä has service workshops also in Sweden, Denmark, Germany, Lithuania and Estonia and a new workshop was opened in Gdansk, Poland, in May 2011. Vuosaari Harbour, part of the Port of Helsinki, has extensive ro-ro and container facilities with expanding commercial activities, and is Finland's primary channel for imports and exports. Occupying premises located within the harbour zone, the new workshop will operate in parallel with Wärtsilä's existing workshop facilities in Vaasa on the country's west coast. Services is one of the three Wärtsilä's businesses alongside Ship Power and Power Plants. Wärtsilä Services offers services to both the global marine and energy markets and operates the most extensive service network in the industry. The company's extensive portfolio of services includes spare parts and field services, as well as servicing of engines, propulsion systems, electrical and automation systems, and boilers. It also covers environmental services and solutions, upgrades and conversions, long-term agreements for engine and propulsion systems, as well as training services. Wärtsilä's services business is also in the forefront in developing new service concepts to meet customer needs for optimal operational efficiency. Wärtsilä Services operates some 70 fully owned workshops and employs over 11,000 services professionals. Prime mover with more power, less exhaust emissions while maintaining high efficiency for electricity power generation on heavy fuel oil. Wärtsilä Corporation today introduced the new 20-cylinder 46F engine for power plant installations burning heavy fuel oil. The new engine develops 23,000 kW at 600 rpm, suitable for both 50 and 60 Hz electricity generation. It offers more power and less emissions than the existing 18-cylinder Wärtsilä 46 engine, while maintaining the high energy efficiency. Therefore the Wärtsilä 20V46F offers more value for money with lower lifecycle costs. 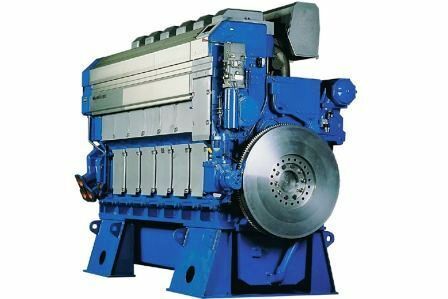 The new Wärtsilä 20V46F engine develops 1150 kW/cylinder compared with 975 kW/cylinder from the Wärtsilä 18V46, at 600 rpm (50/60 Hz) as opposed to 500 rpm (50 Hz) and 514 rpm (60 Hz) respectively.